The 1991 discovery of Ötzi the Iceman in a European glacier, on the Austria-Italy border, motivated curious scientists to analyze his 5,300-year-old mummified remains and recover information about his life in the late Neolithic period. When found in the Ötztal Valley Alps, Ötzi’s frozen body was so well preserved that was almost turned into a natural mummy, creating a real scientific treasure. With a little help from complex DNA techniques, Ötzi became a real Neolithic celebrity as researchers identified specific details from his long passed lifetime. Reportedly, the brown-eyed, tattooed, gap-toothed 40-year-old man worked as a shepherd high in the mountains. Ötzi is said to have worn layered clothing and accessories. His goatskin leggings, jacket, loincloth, quiver, tools, and a grass cape were all uniquely preserved, as were his boots. Petr Hlavacek, a Czech academic and calceology expert from the Tomas Bata University in Zlin, eastern Czech Republic, has taken his research into prehistoric footwear to another level by re-creating Ötzi ‘s boots. 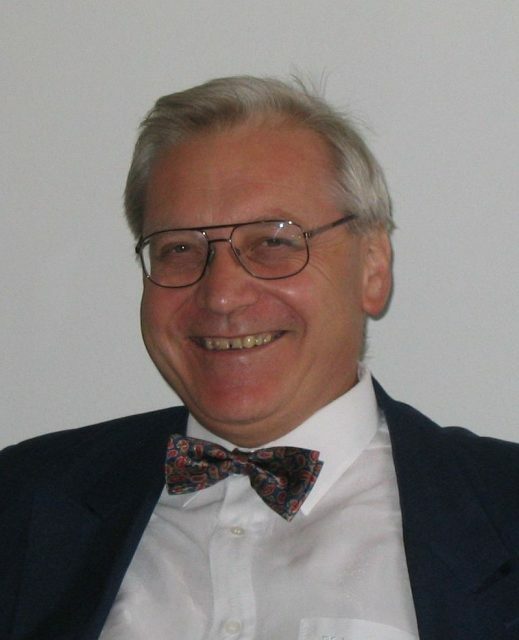 Hlavacek’s expertise in calceology (from “calcei” meaning shoes in Latin) studies the archaeological and historical aspects of footwear. Initially, Hlavacek faced torn and partly decomposed leather, mixed with blackened hay and tiny bits of twine, like a clump of horse dung. Along with his university colleagues, Hlavacek spent a great deal of time and effort trying to source the right leather for the authentic reconstruction. Microscopic studies of the leather showed that it came from calf on the bindings, deerskin on the uppers, and bearskin on the soles. The team of experts had to hire a bear hunter in Canada and have him send his prey to the Czech Republic. 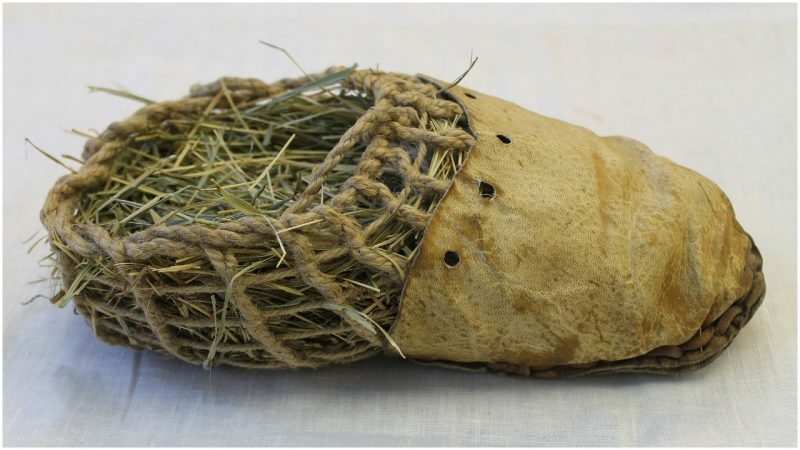 Following the boot’s structure, the researchers re-created a net made of thin bark strips and stuffed it with hay, which formed a lining that kept the foot warm and cozy. 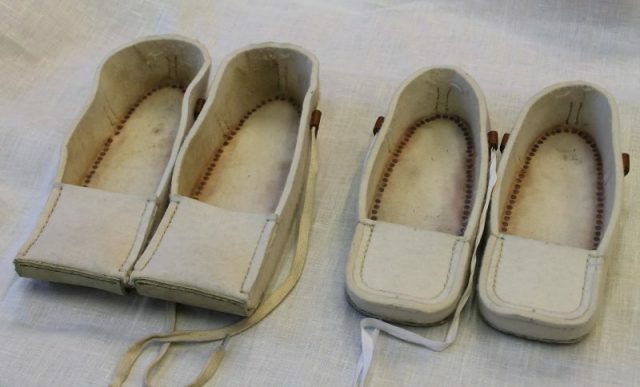 A number of replicas were made to determine the aspects of the function of the shoes. According to Hlavacek, these boots offered more contact with the ground’s surface than modern shoes and felt like “walking barefoot, but only better.” The shoes unappealing outward form is compensated by the comfort and practicality which provide protection against hard terrain and different weather extremes. The tanning of the footwear’s leather primarily included vegetable fats but these proved impractical, so Hlavacek decided to use boiled pig liver and a raw pig’s brain. Tanned leather is a sophisticated material that has to be salted, soaked, scraped and than treated with a substance that will toughen and preserve it. This method was traditionally used in certain regions of South America in the Stone Age period and it was practiced through smearing of the tanning mixture onto the skin and being left for three days. The structural and technical complexity of Ötzi’s shoes brought Hlavacek and his research team to the conclusion that even 5,300 years ago people turned to cobblers when in need of a new pair of shoes. Hlavacek even decided to personally try out hiking in the replica shoes. According to the Backpacker magazine, he took a 12-mile hike through Ötzi’s stomping grounds at 10,000 feet. The result? “The perfect shoes for winter,” concluded Hlavacek. He walked barefoot in the shoes, wearing no socks in a temperature of 21 degrees Fahrenheit, but even in those harsh conditions, the shoes kept him warm, with not a single frozen toe. He pointed out that the grass worked enough well to be an insulator which wicked moisture away from his feet. The soles were not water-resistant but the leather strips that were placed across them provided a solid grip on icy ground.